Pat’s mother is second from left, seated. Click for larger view. 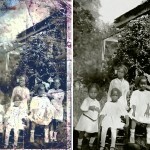 Imagine finding a nearly destroyed photo in the pages of a book and realizing it is your mother, her sisters, and her brother – taken circa 1912 on their farm in a tiny town in rural Georgia. 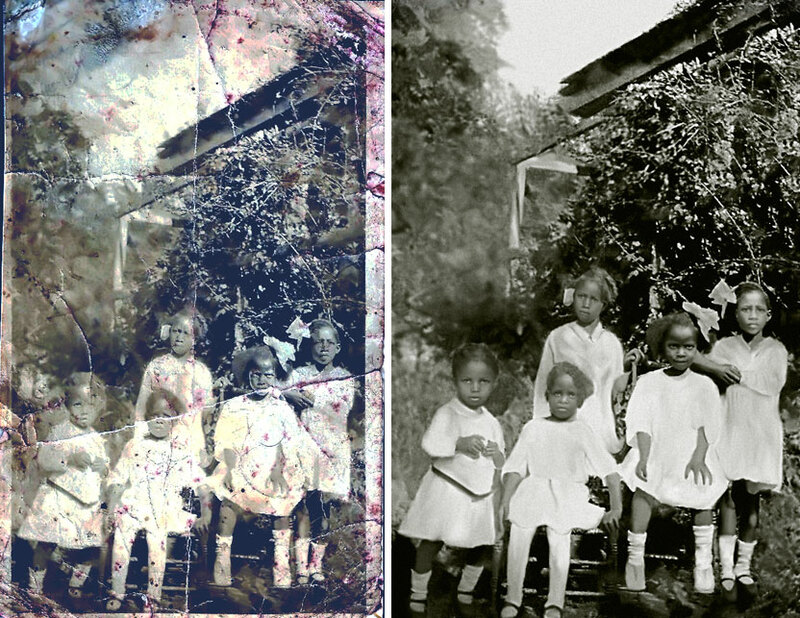 When Pat Humphries was given the photo by a cousin, she knew she had to salvage it somehow – and that’s how she found ScanMyPhotos. Why did you choose ScanMyPhotos? I looked it up on the Internet. My cousin found the picture in a book, and it was beat up beyond compare. My cousin and I knew they were our mothers, but we couldn’t tell who was who. We thought my uncle was one of my aunts because he was in a dress! As you know, here at ScanMyPhotos we are experts at carefully scanning your photos, negatives, and slides and preserving decades of family memories in digital format. But what about all your photos that are already in digital format? What are you doing to save them? If you have hundreds – or even thousands – of digital photos stored on your computer’s hard drive, you need to back them up. Saving them on an external hard drive is one option, of course, but what happens if you lose it or it gets damaged somehow? Backblaze is really popular for its ease of use and straightforward pricing plans. For just $5/month, you can back up an unlimited amount of data. The best part, though, is that you don’t have to think about it. Any time you are connected to the Internet, Backblaze runs in the background, syncing and saving all new files. Additionally, if your computer is stolen, the locate-my-computer feature can help you find it. If one of your resolutions is to “get more organized,” you might look at the endless stream of post-holiday photos and think, “Oh, wow!” followed by “What did I get myself into? !” And then turn your attention to a more fun project, like planning your family’s spring break vacation. Don’t abandon the project before you even get started! It is really not that bad, especially if you devote 15-20 minutes to it every week. Make it a habit to clean through your camera’s photos after you snap a bunch and before you download them to your computer. 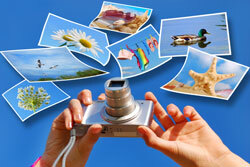 You’ll instantly have fewer photos to sift through.